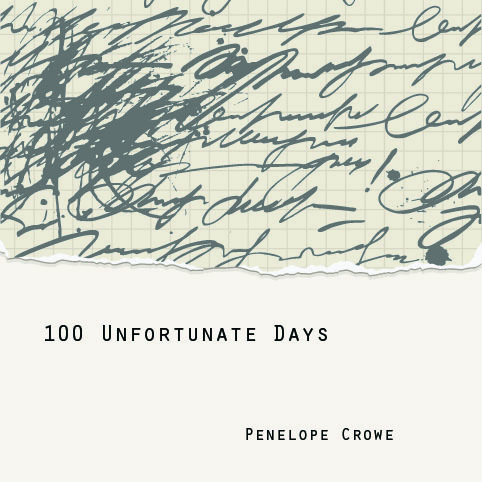 Background: Penelope Crowe is an artist and writer of dark fiction, and her novel 100 Unfortunate Days was published at the end of September. You can read more on her blog, As the Crowe Flies. What it’s about: A madwoman keeps a diary for 100 days and shares her thoughts, dark and twisted and insane as they may be. This is a very unconventional book; if you’re expecting a linear plot (or, really, any plot at all), then think again. The vignettes are loosely strung together by virtue of their narrator and a few threads that hang on through multiple days. Yet strangely, this book needs no plot. It grips you through the sheer mania of the writing and the exploration of the woman’s psychology. Unburdened by plot, you travel deep into the recesses of her psychosis. This seems to work more as a character study than an actual novel. Perhaps because of this lack of plot, I found the end somewhat empty and unsatisfying. We built up to day 100 with increasingly crazy narratives and anecdotes, and some part of me expected a revelation or culmination of these things on day 100. As it was, the final day was unimpressive, and I felt it could have even been switched with a more interesting day to end the book on a strong note. But it was definitely still worth the read. Read 100 Unfortunate Days now! Hello, Joanna. If nothing else, I am intrigued because the book sounds so new and refreshing. Thanks for sharing. Sorry I visited so late. We were gone for the weekend and just got back. Now on my to read list. Sounds like something I’d dig. Thanks so much for the review! It has inspired me to make the last page more intense and interesting. I really appreciate the input, and will let you know when I have decided what to write on the last page–and I will ask you what you think. 🙂 Again–thank you and I’m glad you enjoyed the book.